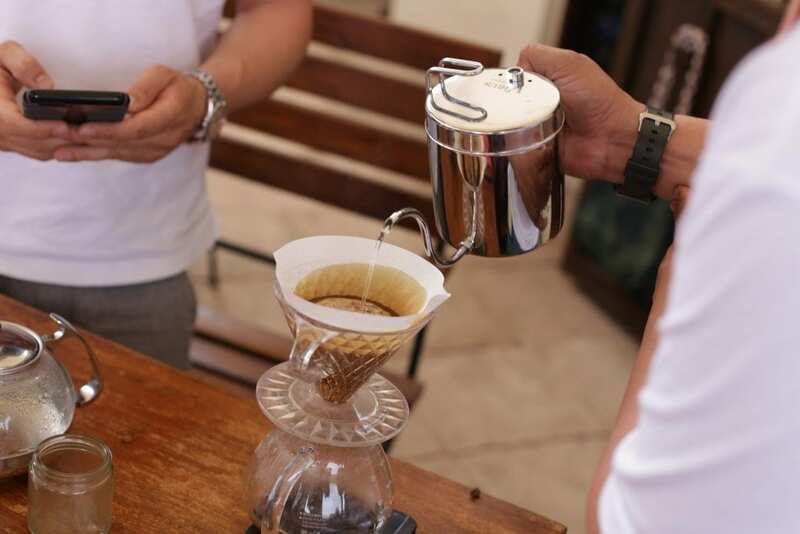 Interview: How Did Best of El Salvador Support Specialty Coffee Producers? 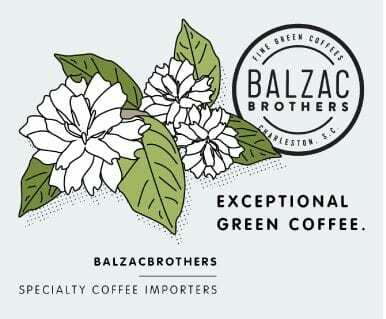 Home Coffee Production & Farming Interview: How Did Best of El Salvador Support Specialty Coffee Producers? The prizes have been awarded. The lots have been sold. And, after seven coffee-filled days, the first ever Project Origin: Best of El Salvador has finished. 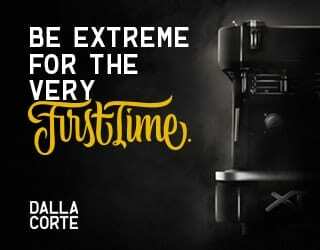 Running for the first time this May, Best of El Salvador was a specialty coffee awards/auction that stepped in after Cup of Excellence pulled out out of El Salvador – although with some key differences. 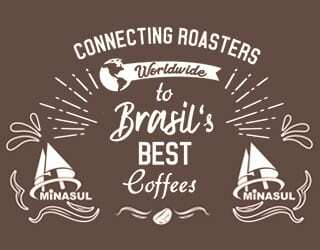 With a focus on relationship building, it helped roasters and other small-batch artisans to establish direct connections with producers of high-quality coffee. We spoke to 2015 World Barista Champion Sasa Sestic and Habib Maarbani, two of the organisers, to discover what it was like establishing a new coffee auction – and the impact that they felt it had. 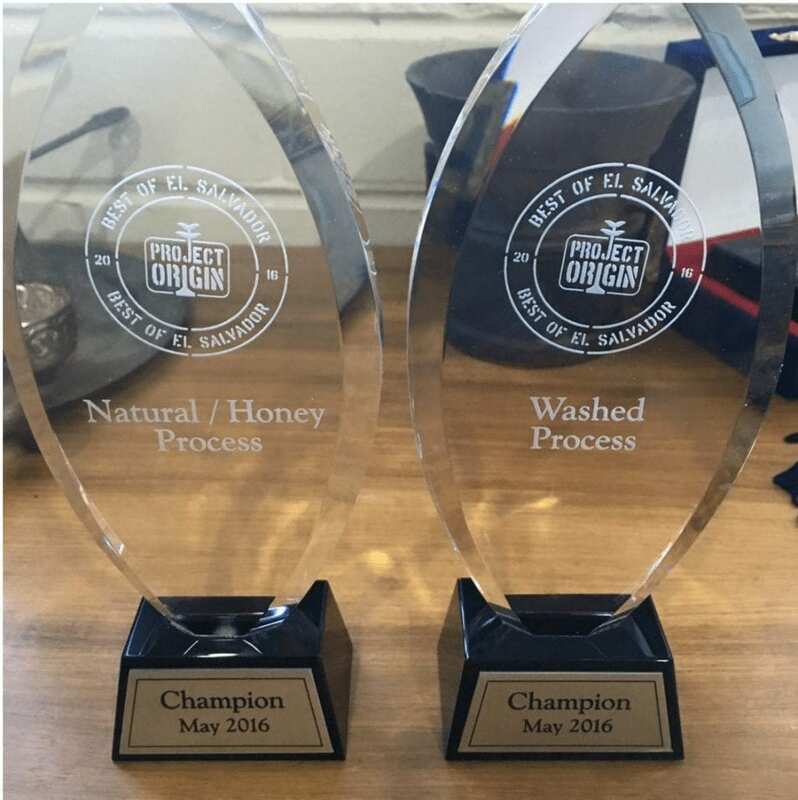 The trophies from Best of El Salvador 2016. Credit: Project Origin. Hi Sasa and Habib, thanks for chatting to us today. So Project Origin: Best of El Salvador has ended, and it looks like a monumental success. Congratulations! How does it feel right now? We’re extremely happy with the result. 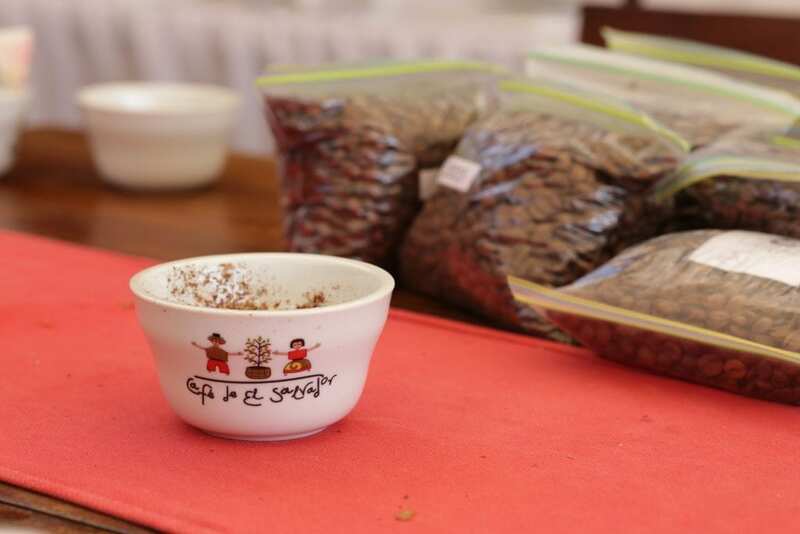 Everything from the number of producers who submitted coffees to the quality of the winning coffees and the engagement of the producing communities has been amazing. On top of that, we’ve been really humbled by the support of the international coffee community, especially our judges, who put in the time and money to be with us and assess these lots; the Consejo Salvadoreño del Cafe, which volunteered their time and people; and also the media, which has helped us share this event with the world. It feels surreal that this was just an idea Sasa had with a few of his connections in El Salvador a year ago. And now it’s become a real event with real impact. 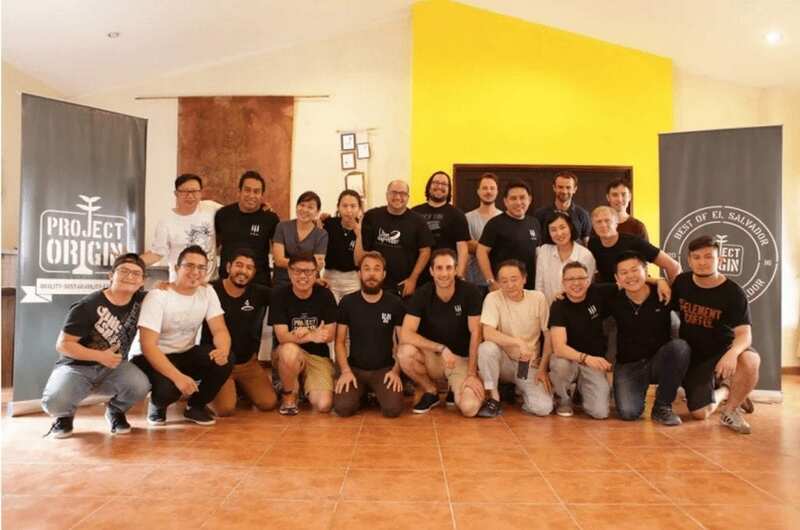 The Project Origin team. 7 days of hard work result in a lot of big smiles. Credit: Project Origin. 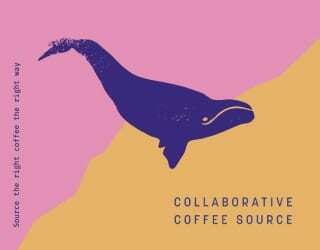 It’s a big thing, starting your own coffee awards and auction. How long were you dreaming of it, and when did Best of El Salvador first feel real to you? Once advertising went out and expressions of interest from international judges and producers from El Salvador started coming in, we knew this was now a live beast that we had to nurture and take care of. It’s so easy to say “let’s run our own auction”. But the reality is that there’s so much that goes into it: the planning, the logistics, the rules, and making sure everything is fair and transparent the whole way. We’re just glad that it all came together the way it did. 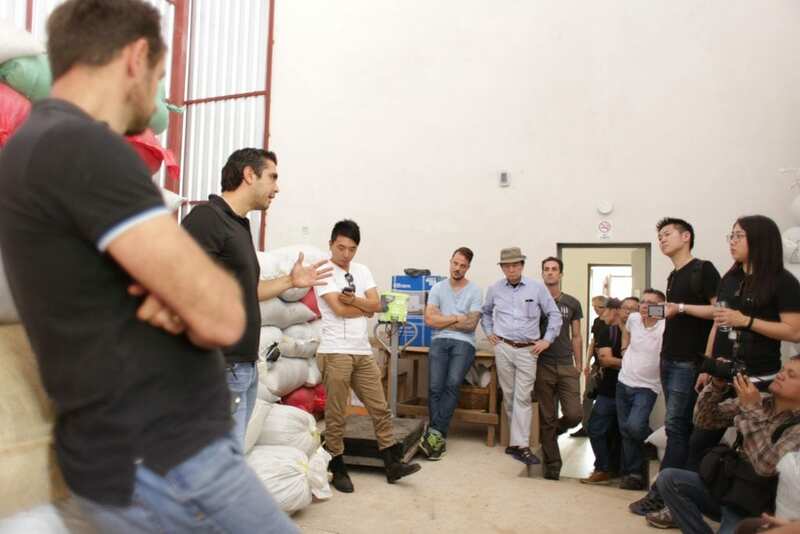 Project Origin aims to expose purchasers to the entire coffee process. Credit: Project Origin. No doubt you’ve worked flat out organising and running Project Origin; tell us a bit about that and how it’s affected the rest of your life. 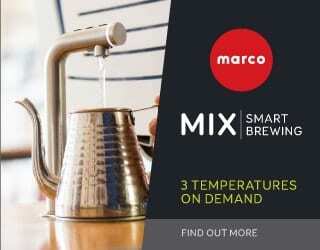 Any specialty coffee professional will tell you that it isn’t really a job – it’s a lifestyle. 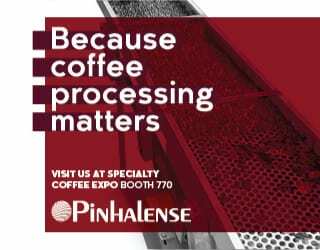 We live and breathe coffee and that’s what made this event exciting: having the opportunity to go even deeper into the industry, and do grassroots work to try to improve the way people source and buy coffee. But sometimes that means you might miss out on things, like celebrating a birthday or seeing your kids take part in sports or performances. You just try to balance that when you’re at home and really put your energy into the people and the relationships that might miss out when you’re away. Building awareness of the coffee chain at Best of El Salvador. Credit: Project Origin. It must be tough, but no doubt worthwhile. What would you say you’ve learnt from this experience? Mostly that this industry is so incredibly vibrant and exciting, but also very complex. It’s kind of like an adolescent that needs a lot of direction so that its future remains promising. But through all of the challenges that have arisen, we’ve found that the solution always seems to be remaining honest and open with people, and working with integrity for the good of the whole industry. Enjoying sensational coffee at Best of El Salvador. Credit: Project Origin. Speaking of challenges, what was the most difficult moment? Explaining to a couple of producers about their lots that did not make the International Judging round. But at the same time, having those conversations only strengthened our resolve to run more workshops with all producers where feedback can be passed back to them. So while they educate us about their farms and their practices when we visit them, we can educate them about how quality is assessed and what they can do to continue improving. 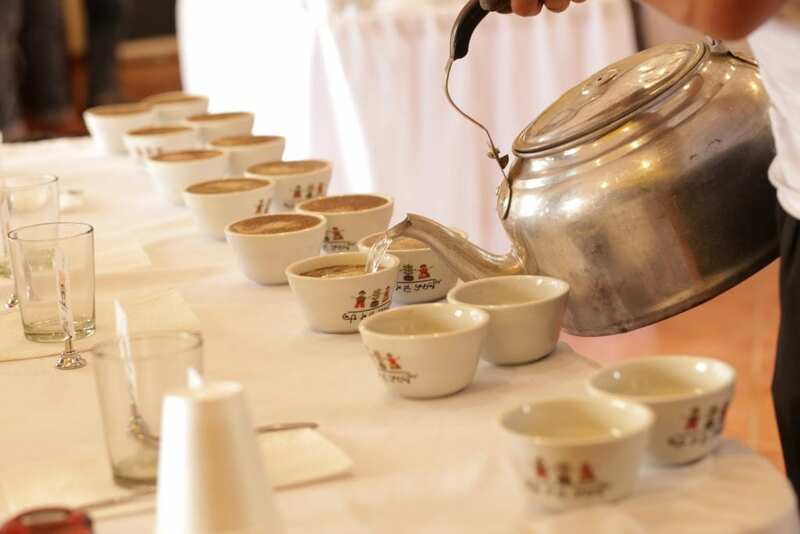 Cupping sensational coffees at Best of El Salvador. Sounds very motivational. So what was the most rewarding moment? The most rewarding moment was definitely announcing the winner of the Washed category. He seemed stunned and clearly was not used to the attention or the cameras. It was very humbling and felt amazing to see him get credit for his efforts. Do any other moments stand out? 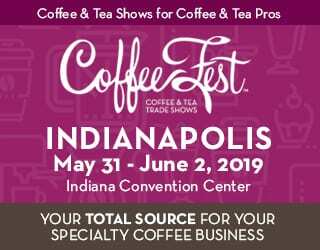 When our finalists were announced, it was so great to sit around with our International Judging Panel and talk about the coffees that had made it through – and the fact that several of them were from farms and producers that we had met or visited during the week we’d been in El Salvador. Putting a face, a name, a place to those cups of coffee made the connection so much stronger and really made us feel like we were having a direct impact. These weren’t coffees from some far away place: we’d been there and we’d spoken to the people involved in making them as good as they were. All the barriers to making really meaningful connections had been removed. 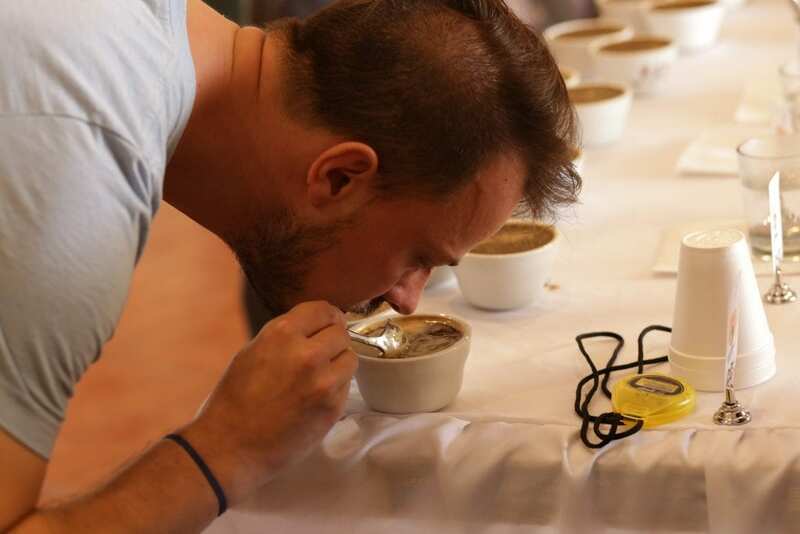 Rigorous cupping processes at Best of El Salvador. Credit: Project Origin. How do you think Project Origin has changed the lives of those participating? Two participants that come to mind straight away are the producers from El Optimismo (such a great name!) and the producer from Finca Milaydi (Champion of the Washed category). El Optimismo had never had a direct trade relationship before. 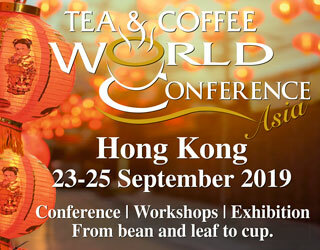 But because of this event, they’ve been connected with a buyer in Australia, which provides them with both security – they know they’ll have a buyer for next year’s crop – and a way to close the feedback loop – they can get advice on how their product tastes when the buyer receives it and so can make improvements in the future. And Ever Leonel Díaz Pérez, our Washed Champion from Finca Milaydi, owns a small farm of only one manzana (approx. 1.72 acres). He can only produce 6-15 bags per year and so has had trouble entering other competitions which have minimum lot size requirements. 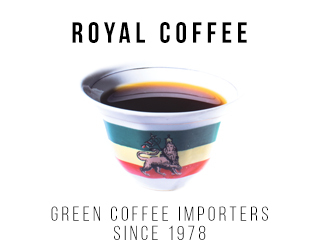 In the past, he has sold his coffee for about USD$2/lb to other producers, and his coffee was then combined with other lots to get entered into competitions, often winning and being sold for quite high prices. But this year, he submitted 6 bags into the Project Origin: Best of El Salvador Auction and earned himself a price of USD$9.60/lb and direct credit for the quality of that coffee – two things he has never had before. The results of the auction: coffees went for up to $10.30/lb. Credit: Project Origin. Wow, that’s fantastic. What about for attendees? Do you think it will change how they do business? 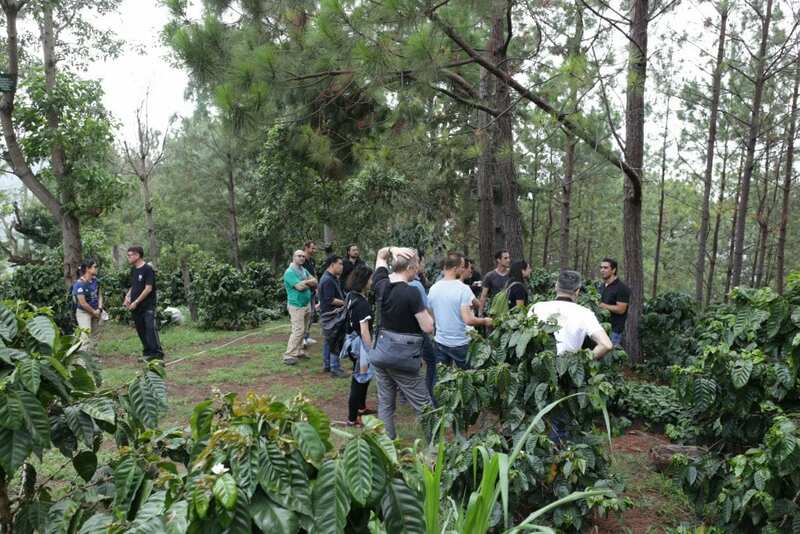 The reality of how much work is involved in producing specialty coffee and maintaining quality products despite the risks of bad weather, plant diseases, and even crop theft was a huge eye-opener for them. 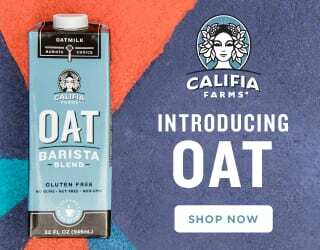 We all came away from this event with a firm belief that valuing the product fairly, and sharing that value equitably along the entire chain, is the only way to make this industry sustainable. 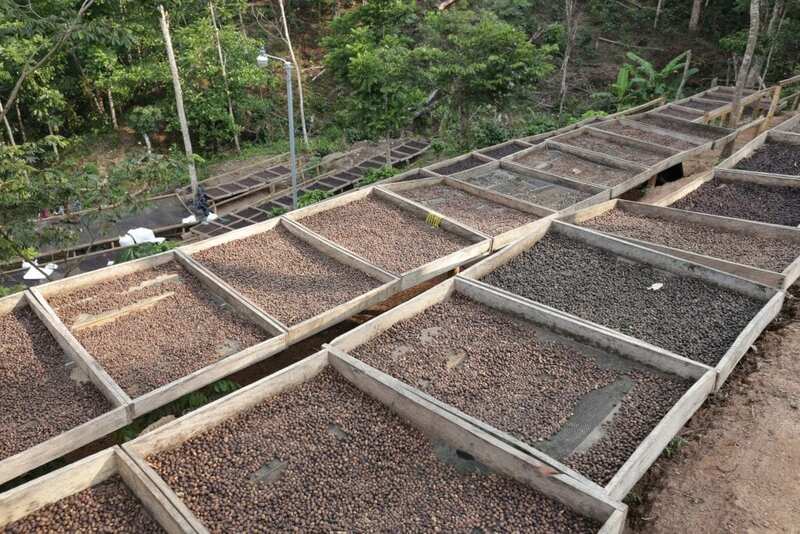 Best of El Salvador is about more than great coffee: it’s about the entire chain of production. Credit: Project Origin. What do you think of the winning coffees? 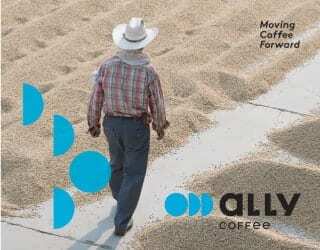 And has this experience changed how you view coffee from El Salvador in any way? 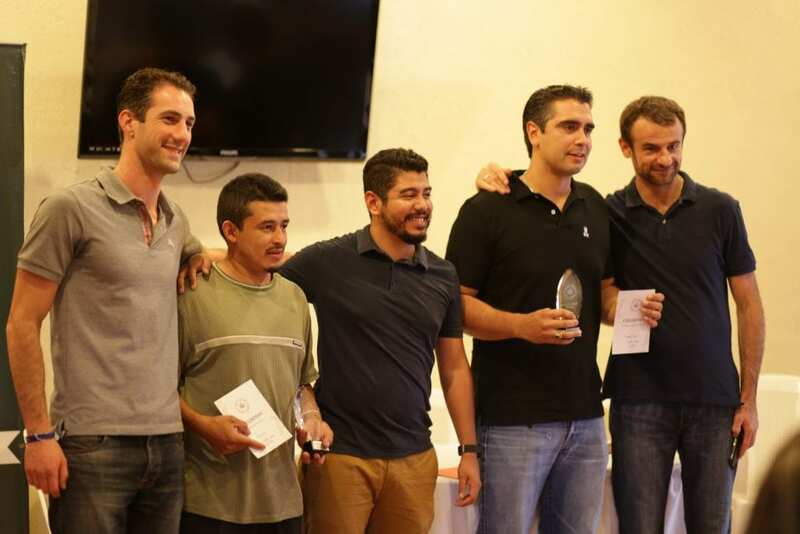 The winner of the Honey/Natural category, Jorge Raul Rivera, has been a winner of Cup Of Excellence in the past. His success in the Best of El Salvador competition just reinforces our excitement for honey and natural process Pacamaras – something El Salvador is famous for. But the winner of the Washed category, Ever Leonel Díaz Pérez (mentioned above), has helped us see that there is still a lot that can be done to recognise smaller producers, to give them the opportunity to participate in competitions, and to help them make direct connections with buyers seeking amazing microlots. In addition, his coffee challenges one of the things we’ve come to “know” about quality coffee: that a very high altitude is a must for quality. Where Jorge Raul Rivera’s farm, Santa Rosa, is located at 1,650-1,800 m.a.s.l., Ever’s farm is located at 1,300 m.a.s.l. 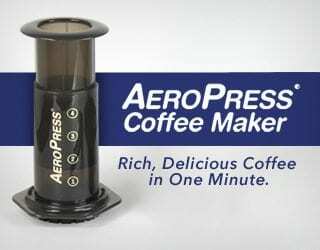 So high altitude is clearly not the only way to produce amazing coffee. Some of the winners and the organisers. Credit: Project Origin. 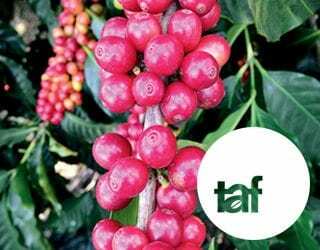 It certainly sounds like Best of El Salvador was a worthwhile and educational time for everyone involved – producers, purchasers, and organisers! How do you see the future of the Project Origin “Best of” Auctions? The future looks exciting. 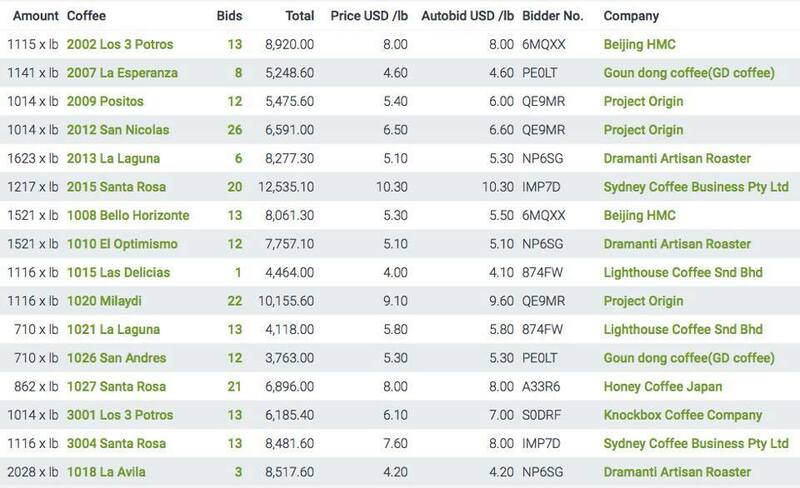 Our plan is to continue hosting auctions in countries and regions where we believe we can help strengthen the connection between buyer and producer, and to broaden the way we work with producers so they have as much opportunity to learn from us as we have to learn from them. It’s all just about continual improvement. What did you do on your first day off after Project Origin: Best of El Salvador ended? Haha. We met with Alejandro Mendez, Gilberto Baraona, Jorge Raul Rivera, and Mauricio Salaverria, all of whom helped us set up this event, and we debriefed. Then we began planning for the 2017 Best of El Salvador event. But then Gilberto was kind enough to host us at Coatepeque where the entire International Jury enjoyed a great lunch and a boat cruise upon a lake inside the crater of a volcano. Sounds like a well-deserved celebration. Thank you for talking to us, and we’re looking forward to Best of Honduras in July! Coffee of El Salvador. Credit: Project Origin. Project Origin: Best of Honduras Late Harvest will run from the 4th-10th July. Late harvest coffees are often excluded from coffee awards and auctions, which tend to run in April/May. 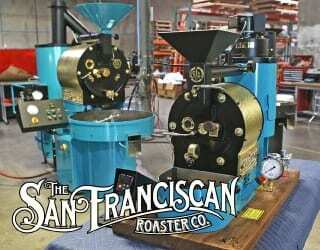 However, they also tend to have sweet, rich profiles that cup well. 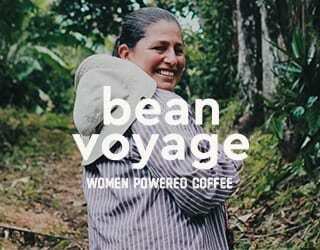 To find out more about Best of Honduras Late Harvest, or to volunteer, email habib@onacoffee.com.au.